A new bedroom in the attic or completely renovated kitchen can boost your home value by about $50,000. But you don’t have to make a huge investment to update your home with value-boosting projects. Often, small updates can make a big difference in the perceived value of your home. Try out these DIY projects that can be completed for $1,000 or less. Paint your home’s exterior: Cost: $500 A few cases of exterior paint and supplies you may already have are all you need to put a new face on your home’s exterior. Painting the outside of your home is one of the most dramatic updates you can make, and all in, it will only cost about $500. Your new paint is also an investment in the protection of your home, shielding your home from sun, wind, and rain. Paint your home’s interior: Cost: $150 per room Though not as essential to curb appeal and the protection of your home’s first line of defense against the elements, a new coat of paint can quickly update any room in your home and make it feel more inviting. Neutral colors in tans and grays tend to appeal to home buyers, but this project is so quick, cheap, and easy, you can update your colors later if you’re not quite ready to sell. Bonus: You can use many of the supplies left over from your exterior paint project. Update closets: Cost: $50 to $1,000 Closets are a sticking point for buyers. Too few or too small closets can really turn off a potential homeowner, especially if it’s not clear how they’ll be able to organize all of the items in need of storage. While bumping out a closet or two might be an expensive endeavor, adding organization, and even sprucing up a dated closet door can make a huge difference. Add attractive shelving for under $100 to turn your cluttered closet into an organized destination. And updating old closet doors that may be bringing down the design of an entire room is another cheap upgrade. Change or replace your closet doors with new paint, mirror frosting, wallpaper, beadboard, or even chalkboard paint for a new look. Clean your carpets: Cost: up to $500 for a 2,000 square foot home New carpet or flooring may be ideal, but if it’s not in the budget, consider cleaning up what you’ve already got. At $.30 to $.50 per square foot, a professional carpet cleaner is cheap enough to hire this job out. Deep cleaning your carpets can remove old stains and give your flooring a newly refreshed look while enhancing the long term life of your carpeting. If you’d like to DIY this project, many excellent steam carpet cleaners are available to consumers at a price lower than a professional carpet cleaning job. Spruce up landscaping: Cost: up to $1,000 Landscaping is one of the first things home buyers (and your neighbors) notice about your home. An updated look can greatly improve your home’s curb appeal and get buyers in the door. And it can be as easy as a trip to the garden center and a weekend or two in the dirt. Fill in bald grass spots with sod, or completely replace a dying lawn with new sod for just over $600. Add a solar-lit walking path with home improvement store lights for less than $20 per pack. And contribute to the long-term beauty of your landscaping with perennials, often available for $25 or less per plant. Replace an old kitchen appliance Cost: $350 or more Kitchen renovations sell homes. They’re the first place a buyer will look, and they offer a 66% return on investment. But typically reaching budgets of $20,000 or even $50,000 may keep this upgrade out of reach for some homeowners. Still, you can update your kitchen without ripping out any walls or cabinets. Start with an old, outdated appliance that could use an upgrade. A new stainless steel dishwasher may be purchased as low as $350, or a new stainless steel range/oven combo is just $630. Buy a new, matching appliance every year or so, and your kitchen will have a new look in no time. Update kitchen cabinetry: Cost: $100 While you’re in the kitchen, cast a critical eye on your cabinets. 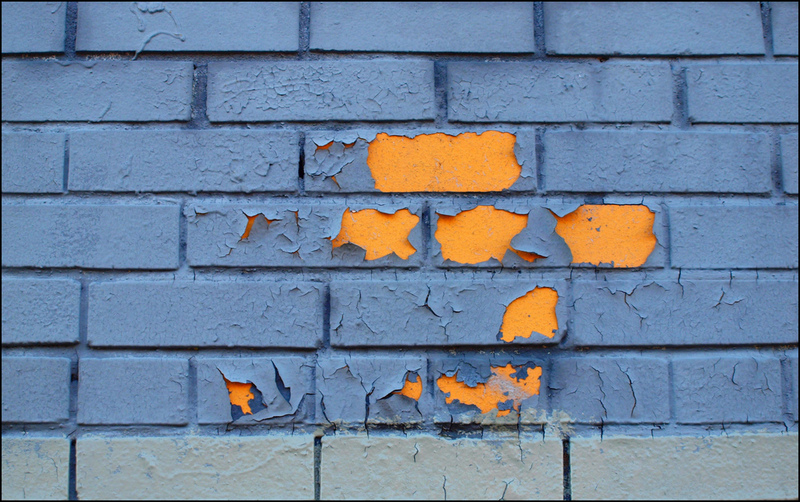 You may not be ready to completely replace them, but you can give them new life with a new coat of paint. Remove cabinet doors and hardware, clean and sand surfaces, and get to work with new paint. Add new hardware for a few bucks more, and you just might transform the look of your kitchen. Renew bathroom features: Cost: up to $1,000 You don’t have to put in new countertops and a state of the art shower to make your bathroom more attractive. Throw on a fresh coat of paint for $150 or less, add a new toilet for less than $100, and update your faucet and bath fixtures for around $200 total. While you’re at it, don’t forget to re-grout your bath tile for a totally fresh look. Big changes, like additional rooms, or full-scale renovations, command bigger home values. But small, smart updates can make your home look like a million bucks for $1,000 or less.